It is with a deep sense of loss but acceptance of God’s will that we announce the passing on of Noble Douglas Kimanthi Abdullah Jr, popularly known as Kimo, on Sunday 8th April 2018 in Lubbock, Texas - USA. 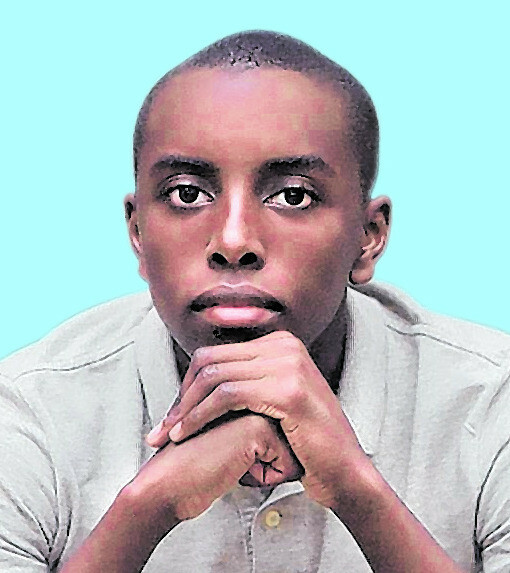 Kimo was a 3rd Year computer science student at Texas Tech University and is the beloved son to Noble Abdullah and Katunge Kalali-Abdullah of Houston, USA.He is the devoted brother to Sarah Kavinya Abdullah. Cherished grandson to the Late Sarah & Late Douglas,the Late Adelaide Kavinya & Late Francis Kalali.Kimo is the charming nephew to Donna, Yvonne, Patrice & Ollie, Flora, Edith, Kyalo, Nzasu, Mwendwa, Mwanza Mwikali, Syombua Kalali, Kaloki, Chris, Hon. Dr. Malombe, Kamene, Sally, Syombua Mwanza & Kate.Adored cousin to India, Timofe, Kavinya Makau, Mbindyo, James, Njoki, Rachel, Timothy, Robert, Mumo, Mike, Kavinya Mwendwa, Nyawira, Neema, Mutheu, Museo, Kavinya Kyalo,Kalali Kyalo, Kavinya Kaloki, Mumo & Ngumbau among others. Uncle to Zani, Mumbua and Mawia. Kimo will be laid to rest on Saturday 21st April, 2018 in Houston, Texas. Family and friends will meet on Wednesday 18th April 2018- Friday 20th April at NPC Valley Rd (CITAM).